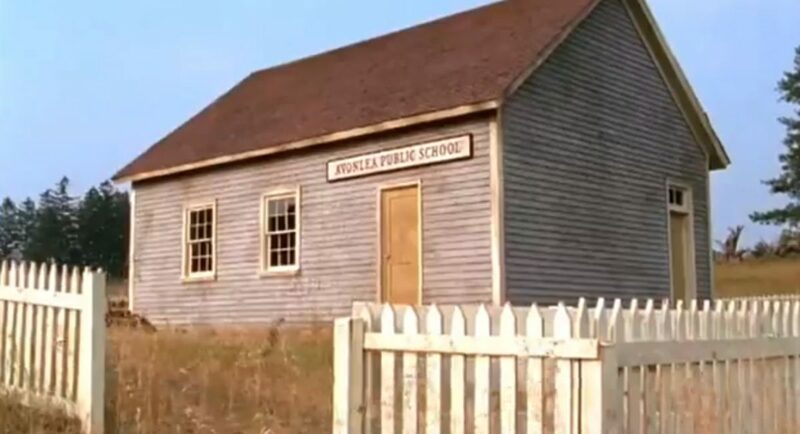 The schoolhouse was the only set on the Road to Avonlea backlot that had a functional interior but filming in it presented some interesting challenges. 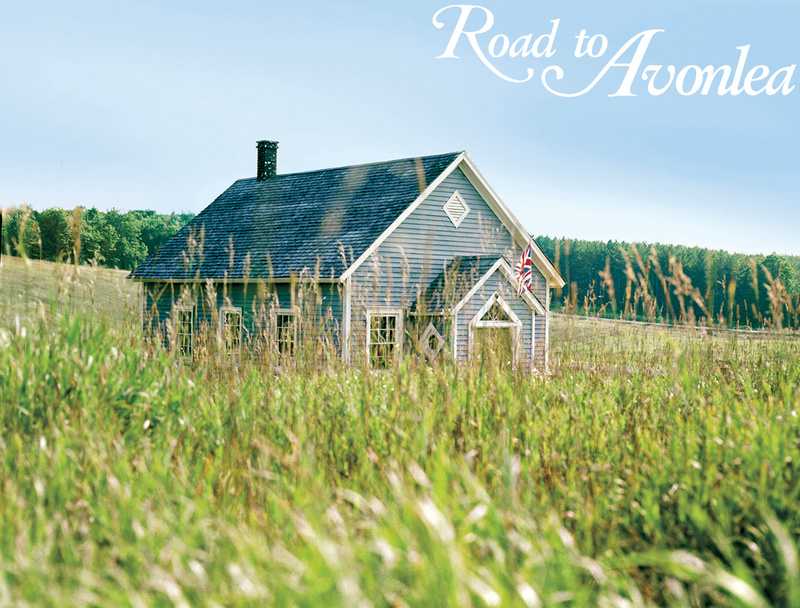 Although the schoolhouse looked like it had been there for many years, it was actually designed and built from scratch for Road to Avonlea. The carpenters, scenic painters and set dressers did a fantastic job of making the school look authentic by aging the new lumber and using period appropriate furnishings. However, in reality, the schoolhouse was very much a temporary structure and was built for the sole purpose of being a functional film set. The interior of the school was made to be a working set for several reasons; the main one being that it gave the production crew flexibility scheduling shooting days at the Avonlea village. Dealing with losing the light was a constant struggle when shooting exterior scenes, especially during the winter when daylight hours were quite short. Scheduling an interior school scene for the end of a shooting day gave the crew a chance to finish the day in spite of the diminishing light. If necessary, the Director of Photography would instruct the lighting crew to set up large lights that would shine through the windows to simulate daylight. Once the lights were turned on we could shoot all night which happened more often than I care to remember. The schoolhouse interior was also built to use for weather cover. The weather was always very unpredictable, so schoolhouse scenes were floated in the schedule in case bad weather blew in. Shooting in the school in a rainstorm though was far from ideal because it had many leaks and the rain on the roof drove the sound recordist crazy. Shooting the schoolhouse in winter was quite challenging because it wasn't insulated and would get extremely cold inside. We would have to pull a large, portable diesel heater through the snow and put canvas heating tubes through the windows in order to heat the building. It was often a struggle to get the schoolhouse warm enough to prevent seeing the actor's breath when they spoke. The cast would wear heavy coats until it was time to actually shoot the scene and then the wardrobe crew would rush to put them back on as soon as the director yelled cut! The schoolhouse interior set proved very useful but in general it was quite difficult to shoot in. Space was limited, and unlike studio sets, walls could not be removed in order to accommodate elaborate camera and lighting set ups. Eventually a schoolhouse set was also built in the studio to make shooting big, elaborate scenes more easily achievable. Good examples of these are the interior schoolhouse scenes shot for 3.3: Another Point of View, guest starring Christopher Lloyd. The schoolhouse set at the Avonlea Village was well used throughout all seven seasons of Road to Avonlea. It became such a fixture to local travelers, that when the show finished production, the nearby town of Uxbridge, Ontario wanted to move it to their museum. Unfortunately the structure wasn't built to last indefinitely though, so moving it was impossible. The schoolhouse was an integral part of the show both for the production crew and, most importantly, the citizens of Avonlea. It may not stand stoically on the grassy hilltop in Uxbridge anymore but it will exist forever in the numerous Road to Avonlea episodes that it appeared in. 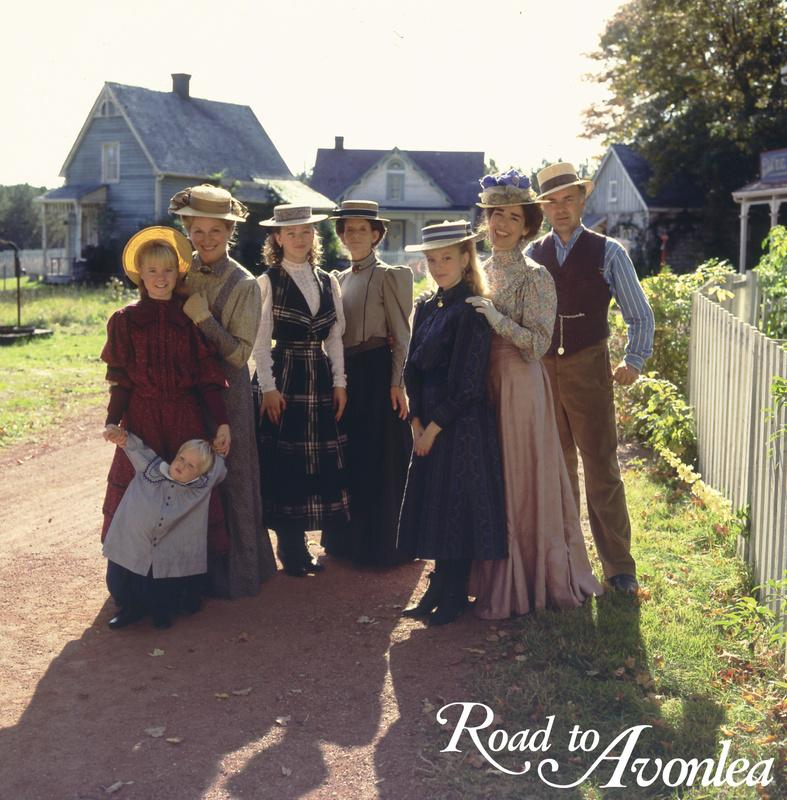 All of your favourite Road to Avonlea episodes are available on DVD at shopatsullivan.com. Here are some of the locations that stand out in the series. Characters from Road to Avonlea: Where are they now? Ever wonder what happened to your favourite characters from Road to Avonlea? Stream classic shows now for the whole family!